Utah is… not progressive when it comes to its alcohol laws. It has the most restrictive alcohol shipping laws in the country (it’s a felony to ship booze in), and beers sold in its grocery and convenience stores must not contain more than 4 percent alcohol by volume, or 3.2 percent alcohol by weight. Now, The Salt Lake Tribune reports there’s yet another bureaucratic hurdle for breweries: They’ll have to send their beer to a state lab to ensure it’s under that 4-percent threshold. Utah’s laws define “beer” as a product containing less than 3.2 percent alcohol by weight; those beers can be purchased at any grocery store or convenience store. “Heavy beer,” which containers more than 3.2 percent alcohol, can only be purchased from liquor stores. Restaurants can serve both types of beer if they have a “limited-service” or “full-service” restaurant license. Some “beer-only” restaurants may only serve 3.2 percent beer. Oh, and “bars” and “taverns” also have differing sets of rules. It’s a bit complicated. And it’s about to get more complicated for breweries once these new testing requirements go into effect. 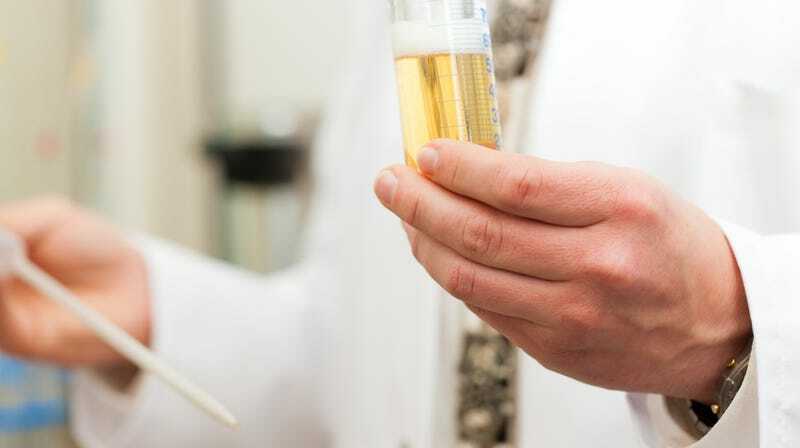 They’ll require brewers to ship their beers to a state lab for alcohol-testing—a relatively simple test that most breweries perform on-site anyway. If a beer is proven to contain more than 3.2 percent alcohol by weight, it cannot legally be sold as “beer.” Products considered “heavy beer” will not need to be sent in for testing. There’s concern that the testing could put an undue strain on breweries, who not only have to send their packaged beers for testing, but also have to send in specialty, taproom-only brews. Paul Gatza, director of the national craft-beer trade group Brewers Association, tells the Tribune he’s unaware of any other state that has this type of requirement, and says he worries it could discourage breweries from brewing those specialty, one-time-only releases. My calls to the Utah Brewers Guild went unanswered, and no voice mail was set up—maybe they’re all too busy shipping their beers to the state’s lab.